Have you ever thought if you can convert your supplus airtime on your sim into cash? 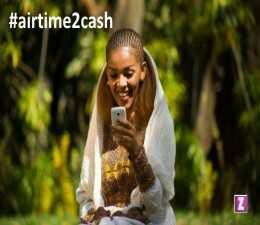 Have you ever asked yourself this question, '' Howwith Zoranga mobile money services, you can be able to send and receive money from wherever yo I wish there is a way to convert my airtime to cash directly to my bank'' ? The answer is "ZORANGA " and the service is now available in Nigeria. Before now, if you want to sell your airtime to someone for cash, you will have to loose more than 20% value of the value of the card before you convert it to cash, For example if u want to sell MTN airtime of N4000 u might get a value of N3000 or N2800 which is a very steep discount, sometimes you might not get anyone to buy your recharge card. Now with Zoranga mobile money services, you can be able to send and receive money from wherever you are without visiting the bank. Using MTN airtime, you can fund your Zoranga account anytime from their website zoranga.com. You can also deposit already loaded airtime using MTN share and sell to your Zoranga account and you can transfer money from your Zoranga account into any bank account in Nigeria within minutes using your mobile phone, pay for goods and services online or save for a goal or project for a specified time. Deposit fees: Deposit to your Zoranga account is free. However, there is a limit to the amount you can deposit to your Zoranga account daily using airtime. There is no set limit on deposit made with zorapin. Bank Transfer fees: A transaction fee of 12.5%of your transfer amount is applied to all transfers to any bank accounts. However, customers who deposit with zorapin pay a transaction fee of 6% for bank transfers. Payout through agents: withdrawing money from an agent location is charged at 12.5% to your Zoranga account at the point of withdrawal. The agent does not charge any extra amount to the cash recipient.